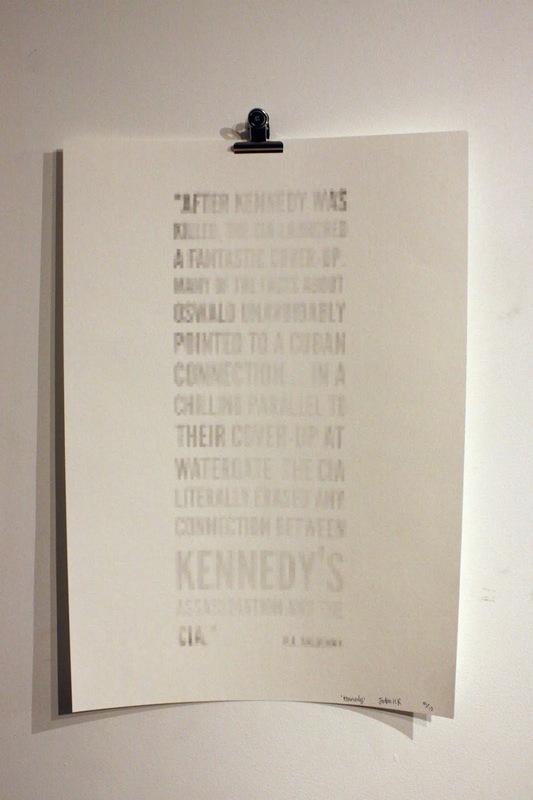 To mark the 50th anniversary of President John Fitzgerald Kennedy’s assassination I created a conspiracy themed screen-print poster. 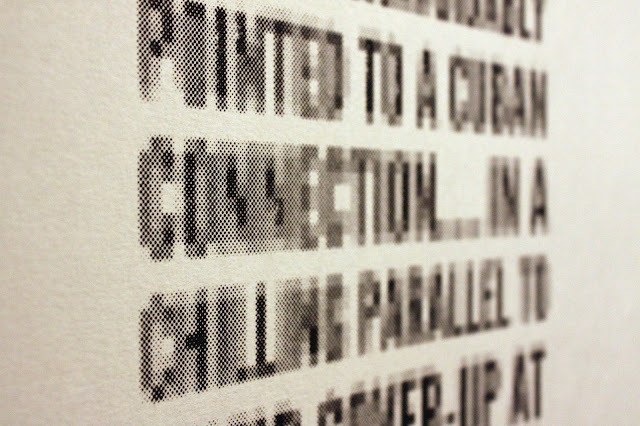 The type has been pixelated to make it illegible and has been printed with thermochromc ink so that the information disappears when heat is applied. 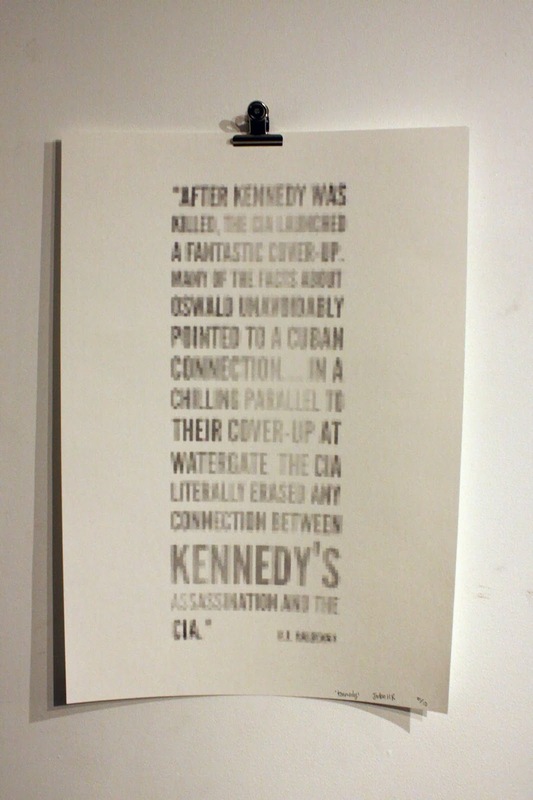 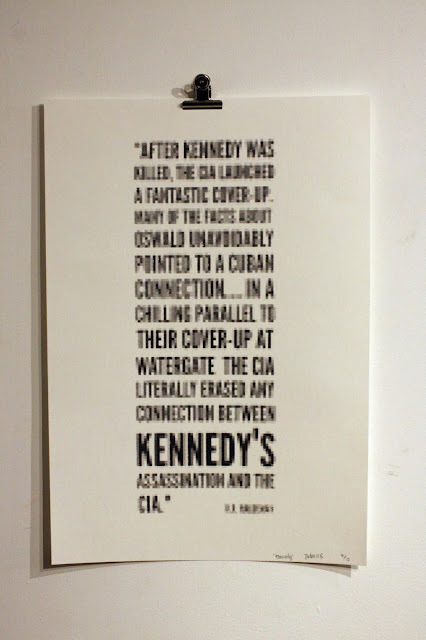 The concept reflects the destruction of information and consequent cover-up that was conducted by the CIA with regards to Kennedy's assassination. I have posted the project on my Behance profile to help me gains some exposure.